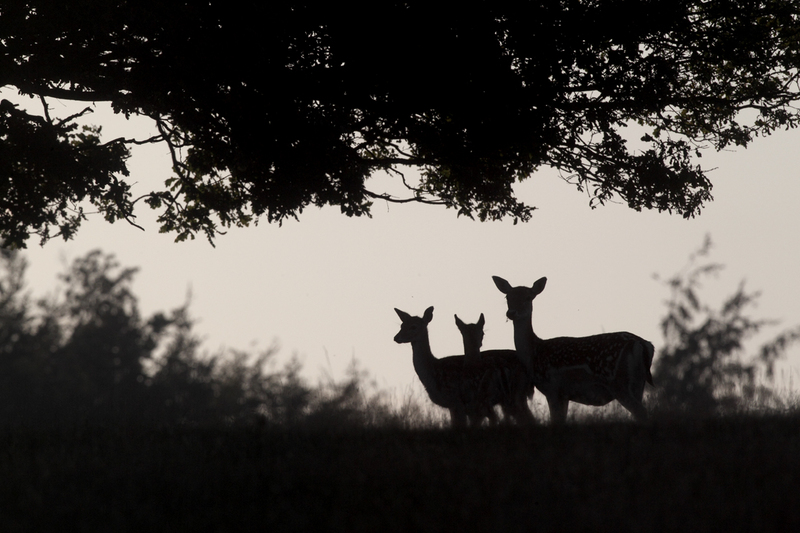 Knole deer park in Kent is one of my favourites. The fairways of the golf course within the park offer nice settings for the fallow and sika deer found here. Apart from around the car park area the fallow deer are surprisingly nervous and it is hard to get close, but the sika deer are far more approachable. I left home about 0200 hrs to arrive for dawn and packed a toothbrush in case I wanted to stay over. It was bright and sunny all day, but as ever by 1000 hrs I packed up. The sun was too high and harsh and the deer mostly in the shadows of the trees. Photography did not begin again until late afternoon, which leaves a substantial part of the day to sleep after such an early start. 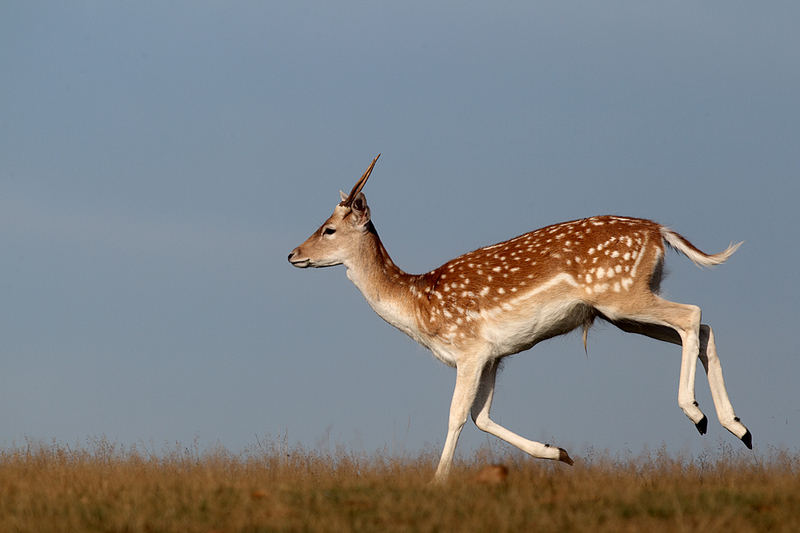 At one point a line of fallow deer ran along a ridge, one after the other, but although they were moving fast they did not appear stretched. Given more time I would have tried using a slower shutter speed, but it was all over to quick. The best potential was close to dusk as the sun hit the horizon as a large red ball. 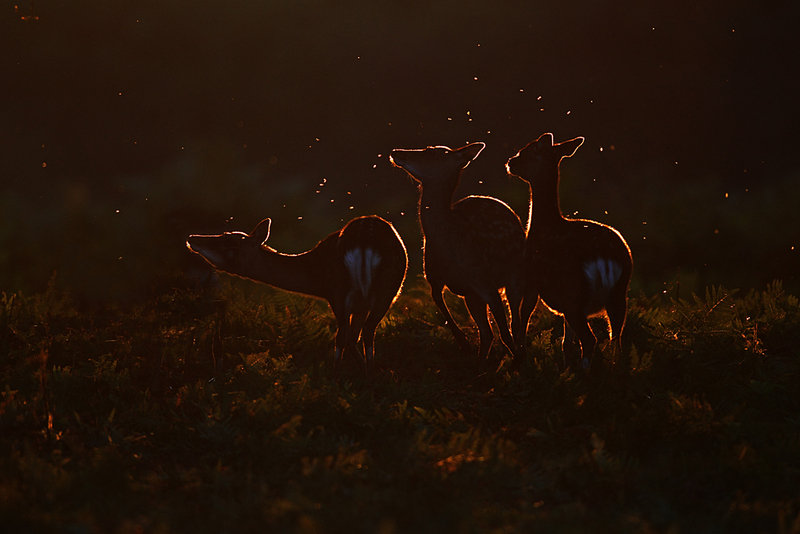 The backlit sika deer looked great with flies buzzing around their heads. Unfortunately they never stood in the right place during that last glow. 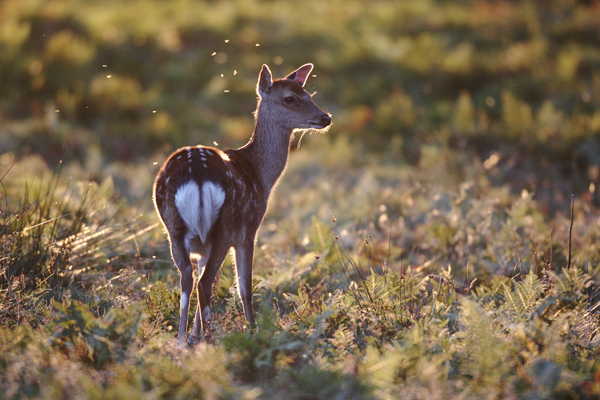 The fallow deer also did not pose so well in the last bit of light. A pity as they stood out well on the horizon. I underexposed them a couple of stops to make them more of a silhouette. Posted on September 25, 2010, in Uncategorized. Bookmark the permalink. 1 Comment. Favourite of mine too, though I don’t have to leave that early as I am only 45 minutes away. Was there last year and saw a sika attacking some bloke. He was feeding the deer (even though as you know there are signs saying don’t) and when he ran out, one of them was a bit fed up by this and started butting him and all the while his missus was trying to whack it with her handbag. 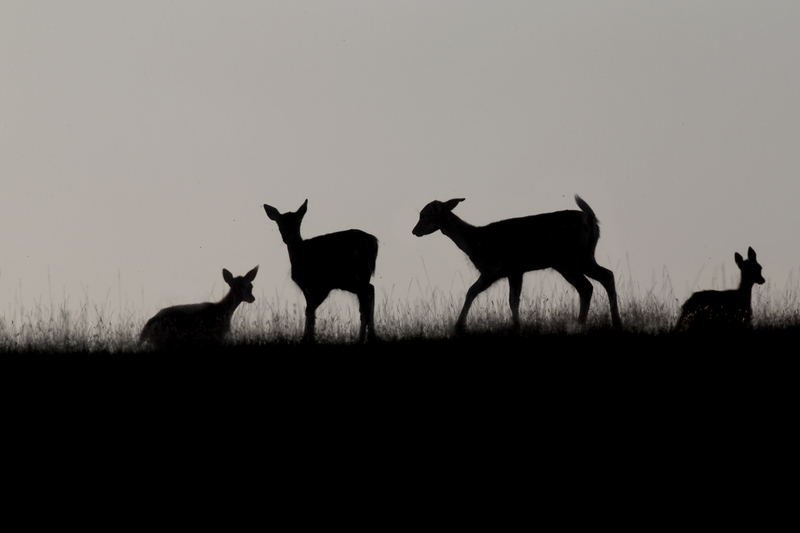 A warden eventually turned up and shooed the deer away and then had a right go at the couple. It was hilarious. I tried to get a picture but a damn tree was in the way! !